Minimum quantity for "INTERSECTION EA v.2.0 - 30 divergence strategies for Meta Trader 4, Meta Trader 5" is 1. Intersection EA human-like logic, with robot-like trading and processing – rapid and uncompromising! Traders and programmers of Kalinka Capital OU company, worked hard developing the Intersection EA forex robot, starting from the year 2011. Initially, this strategy was used by our traders as semi-automated signal system in trading with Kalinka Capital OU accounts. With the years, it became less and lesser dependant on trader's control. In 2016, we've fully automated this system and made it available in our shop. 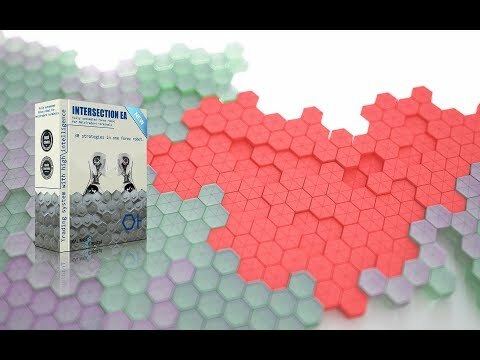 Then it was named as Intersection EA, and it is now available for everyone! As for professional traders and investors, and beginners, as a fully automated trading system. You need only to choose the trading settings that suite your needs and install the Intersection EA in your trading terminal MetaTrader 4, MetaTrader 5. We consider Intersection EA trading system to be a top of the line and a safe to use forex robot. 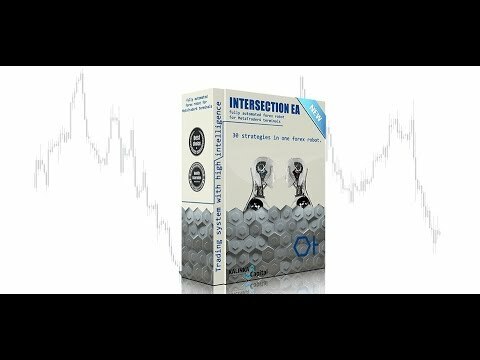 Using the Intersection EA in your trading, you don't need to get any "trend" or "reverse" based forex robots. 30(!) options of market analysis are implemented in this advisor. We've used maximal and sane combinations of trend indicators and oscillators in all 30 of market analysis options. So, there are basically 30(!) forex robots trading by the market «divergence» and «convergence» search strategies. 02.10.2018 - New advisor version is available. We've optimized most of the code. History bars analysis corridor is added separately for each currency pair and time frame, taking into account the volatility of concluded corridor. For less than 4 years, profit from $10 000 went for $1 433 000 with the deposit drawdown of 11.83%! 20.08.2018 - Package of trading settings released for the INTERSECTION advisor (MT4+MT5), for 11 currency pairs, for divergence and convergence by CCI. You can download the updated trading settings via your personal cabinet, or by contacting the tech. support chat. 28.05.2018 - Package of trading settings released for the INTERSECTION advisor (MT4+MT5), for 12 currency pairs, for divergence and convergence by MACD. 02.05.2018 - Beginning of INTERSECTION EA distribution for Meta Trader5 platform. 05.11.2017 - Advisor adaptation process for the Meta Trader5 platform is initiated. 04.07.2017 - Trading settings update, new currency pairs were added. 18.04.2017 - INTERSECTION EA distribution initiated for the Meta Trader4 platform. Forex Advisor earned almost $ 2 million! Intraday forex advisor INTERSECTION v.2.0. Pre-purchase is available right now!